When cattle are grazing in the pasture during the summer and fall seasons, it is possible for them to pick up a number of harmful internal and external parasites. The winter is the best time to treat your cattle for these parasites because with the colder weather on the way, cattle will need to increase their feed intake and can fall more susceptible to disease in the winter. This is also a great time of the year to give your cattle their semi-annual vaccinations. We recommend that you consult your local veterinarian before vaccinating cattle to find out which vaccines are best for your cattle, to prevent excess costs on unnecessary excess vaccinations. Pasturas Los Alazanes has an extensive line of cattle veterinary supplies for your cattle this winter including vaccines, dewormers, grooming supplies, ear tags/applicators and much more. Come by our store and see our great selection or cattle products and talk to our knowledgable staff about which cattle products are best for your cattle this winter. Here at Pasturas Los Alazanes, we are committed to making sure our customers find exactly what they are looking for. 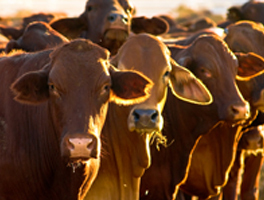 If you have any questions about these veterinary products for cattle, then please click here to visit our contact page. We will be more than happy to answer any questions you may have. Purina Stocker Grower is a 14% all natural protein feed supplement for growing cattle on forages and grasses. Purina Cattle Cube is a 20% all-natural protein cattle cube for cows on fair-to-poor quality forages and grasses. Calf Creep is a 14% economy pellet for growth promotion and feed efficiency.